I am today going to review a wonderful new addition to our learning curve with the Leap Pad 2 Explorer and how it has bumped up the fun quotient for my granddaughter while learning things like being sensitive to other’s feelings. I had read about Leap Frog products and studied many of them over the years and recently read a great review about the Leap Pads so when I found it for sale in a local store it came home with me. Our Leap Pad was a bundle as indicated in the picture here. I really like the little case that came with it. Thankfully, my daughter, while liking Barbie does not get into the entire Barbie ‘scene’, so this was just a fun little plus to be the collector’s edition for Barbie. You will note if you go to the Amazon link (I have included so you can explore more), that it comes in several types like Disney’s ‘Monster’s University’ which I would have preferred ’cause she really likes the Monster Inc. series. Let’s review some of the aspects of this product and I will rate it here and explain why I’ve given it this rating. Product Description: An interactive child proofed and child tested electronic pad created by educators to help kids unlock their potentials. These devices, as expressed in their literature, have been educator designed to engage, motivate, challenge, inspire, and nurture a young one’s mind. So far my experience with their products and website line-up with their stated mission. 8. Principled interactions in the social recognition app, showing kindness etc. Price: The price of the product we brought home was $49.00. In researching availability online it ranged from the $49.00 to 92.00. 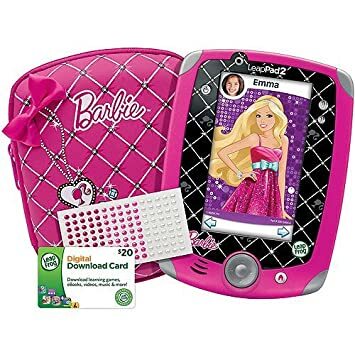 This Barbie bundle was even on sale in the Leap Frog site which is worth looking through because of their guarantee. Guarantee: YES, but there is a caveat. The ‘Kid Proof” warranty covers only the LeapPads purchased through Leap Frog. Intent on watching…could easily be intent on learning! Why a ‘toy’ pad over an iPad or Kindle? What I have discovered is that my little one really likes my smart phone and it is not good that she has figured out how to get to YouTube as so many things there are not child appropriate. And while an iPad or other electronic pad would offer many more avenues for downloading helpful apps, especially where language is concerned, this is a high dollar investment that I am not ready to make when the potential for damaging it is so very great. The LeapPad is a good solution to providing engagement while offering something to increase her learning curve. As many of you know, keeping our special people ‘on task’ so they can learn is one of our daily challenges. I’m on the lookout for things that help to increase her attention to a task. I have seen Shiloh love to work with her Speech Pathologist because of the wonderful apps she uses on her iPad. These have apparently been designed to increase her language capacity, both expressive and receptive and while it is some work for her, she usually stays on task, with well planned out ‘breaks’. In the LeapPad library there are apps for reading, writing, arithmetic, social studies, and science. Some of these are way above her head because of where her language skills are right now. I am, however, looking forward to including a few more apps that encourage alphabet recognition and writing skills. Some of the ebook items are interactive stories and I expect she will do well with these. The idea here is to keep her feeling like its less work and more fun. She resists doing things, very good at using her avoidance techniques “-) when something is hard. Her therapists work hard at keeping her on task as I’m sure her school must be doing as well because my precocious little one keeps telling me she doesn’t like school (my guess is because it is harder than preschool). One of the apps I really like that we have downloaded into her pad is the game titled : “Scout & Friends” . The intent is to help kiddos learn about feelings and something they can say or do to help that ‘friend’, Like when Eli is feeling frustrated the puppy friend asks “should we say something mean to Eli or give Eli a hug.” Not only does this game help in identifying feelings but it gives options for taking action, it therefore helps our little ones develop empathy. This is a critical emotional skill for children who are egocentric, so centered on theirselves that they don’t see or think about anything outside of themselves. This is a persistent problem in our household and one we seem to always be working on. How about yours? I like the videos you can download as entertainment. For instance, my little one loves the Fireman Sam series and stays in place for some time watching them. One of the great features of that series are the safety lessons contained in the story line. She has said recently, after watching Fireman Sam, “I wish I could be a fireman.” No kidding! How delightful to see a positive affect that can be built upon as we talk and play. Wouldn’t you like every opportunity to open up that possibility for your loved one too? I was tickled pink when I heard her give expression to this!!! Yes, do purchase this product. I gave it an overall rank of 4.5 because of the issues around the batteries and the expense for additional apps. We buy apps for other devices we are using in our modern electronic world, so this is to me an ajdustment in my thinking around this. Remember that it will require further purchases of other apps in order for it to continue to engage and keep the learning curve up. I’d like to share that one comment I read by another parent was negative in that she’d had a negative experience with the company regarding her broken screen. I felt that the company was not at fault as it was an unfortunate accident that caused the screen to get broken, not a design flaw or any such LeapFrog company failure. So far I have seen and had many good experiences with this product, therefore I believe it will be a good investment. It IS and has been for us! I feel that this toy is going to help Shiloh with the fine motor skills we are working on while helping her with her language abilities. So not only is this fun for her its going to help me help her progress in her skill areas. In fact, I expect her therapists will use it with her because she likes it so much, indeed one has already. 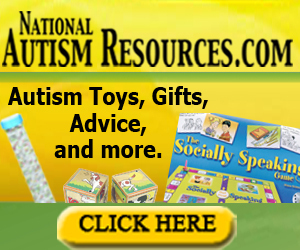 Please, if you have experience with this product and would like to share that with our community, please feel free to drop a comment below or send me an email, linda@specialneedsadvocatepower.com. I would love to get your feedback! Here are some links to devices that I have mentioned throughout this blog. These are links into Amazon from which you can further examine these products. You will no doubt learn more and be able to get a better feel if this is a purchase that makes sense for your family. Please let me know if you have any questions on any of this and I will work to find you an answer. Fetal Alcohol Syndrome Research – Drinking During Pregnancy Is It REALLY Harmful?